With European elections looming closer and closer, Italy’s Deputy Prime Minister Matteo Salvini is launching his campaign for the elections on Monday with the hope of forging an alliance of nationalist groups that can grab seats from the more conventional parties. Europe’s right-wing populist parties are currently divided into three groups: The Europe of Nations and Freedom (ENF) group — which includes Italy's the League, France's National Rally, Austria's Freedom Party and the Netherlands' Party for Freedom — the European Conservatives and Reformists (ECR), which groups the Danish People's Party and the Finns Party among others, and the Europe of Freedom and Direct Democracy (EFDD), which has the Alternative for Germany (AfD) and the UK's Brexit Party . For some time, Salvini’s dream has been to unite all of these blocs and form a unified cross-border alliance. 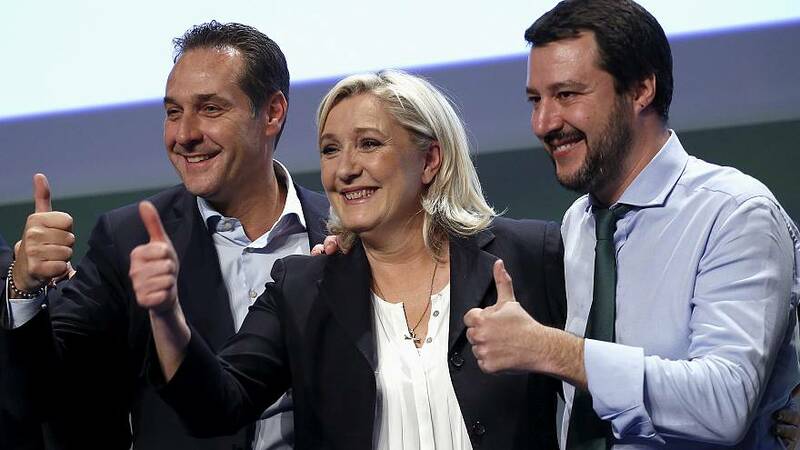 At a press conference following the meeting, Salvini of the anti-migrant League, said that the aim of the coalition was to become the main group in the next European Parliament, "the most numerous, important, determined and forward-looking group". He added: "We are not aiming to lose or just participate. Our goal is to win and change the rules of Europe." The populist leaders said they planned to join forces after the elections in order to create a new bloc that would "shake up the European Union". Speaking at the same press conference, Jörg Meuthen, the chairman of the AfD said the potential coalition would work to "reform the European Union and the European parliament, without destroying them. We want to bring radical change." Meuthen told reporters that the new group within the EU parliament would be called the European Alliance for People and Nations and would initially involve at least 10 parties. But few parties actually attended the gathering. The AfD, the Danish People's Party and the Finns Party were the only attendees. Among the notable absentees are Marine Le Pen of France’s National Rally, Poland’s governing PiS (Law and Justice party) and Hungary Prime Minister Viktor Orban's Fidesz party. Salvini has spoken of a far bigger rally next month but the absence of some of the more prominent nationalist leaders points to the policy differences that still block an alliance. Lorenzo Pregliasco, the director and co-founder of YouTrend and of the research start-up Quorum, told Euronews that his attempt to unify the right-wing parties has been so far "unsuccessful". Some of the key issues that divide these parties are differences over economic and social policy.